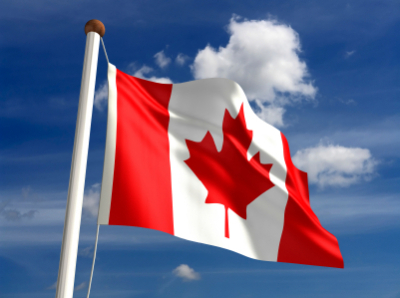 Canada Day on July 1st, 2015 marks our nation’s 148th birthday, and what better way to celebrate Canada’s heritage than continuing to inspire innovation all year long! This month we will be focusing on training and getting your team up to date with the latest features and benefits of subscription services with CAD MicroSolutions. SOLIDWORKS 2015 Upgrade sessions The last of our complimentary SOLIDWORKS 2015 What's New sessions have been scheduled. I strongly encourage our clients to attend if you have not already done so. The next sessions available are July 3rd, July 10th, July 24th and August 7th. Sessions run from 9:00 AM to 3:30 PM. Please review our training schedule and sign up. To learn more about new enhancements added to SOLIDWORKS 2015, watch the videos. MySolidWorks Professional You still have the chance to sign up for the complimentary ONE year MySolidWorks Professional offering. MySolidWorks Professional offers 100+ hours of on-line training, CSWA, CSWP and CSWE exam preparation, access to SOLIDWORKS 2015 Xpress products and more. I encourage you to leverage this offering. 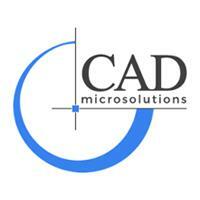 To get your company registered, please email me at mkhan@cadmicro.com. Don’t forget that your subscription contract gives you access to 2 free exams every year. Government Training Grants The next phase of Government training grants are in effect. If you are considering any training on the SOLIDWORKS family of products, please contact us now, before the program ends. Walk-in Clinic I am happy to say that we have had excellent feedback on the complimentary walk-in clinics that are offered to our subscription clients. These are scheduled every other Wednesday and are provided in person or on-line. Please visit our on-line schedule here to book your check-up. SOLIDWORKS 2016 Beta The SOLIDWORKS 2016 Beta (“Contest”) is open only to customers with current active SOLIDWORKS Subscription Service. Your participation will pave the way to allow your company to adopt the 2016 tools sooner and allows you to test your workflows with the new release. The contest ends on September 6th, 2015 and you can sign up here after reading and accepting Beta Terms and Conditions. One last item - July Promotional Offerings - Several aggressive promotional campaigns are being offered in July. If you have any additional requirements for licensing, please contact me at mkhan@cadmicro.com and I will have your account manager contact you to provide more information and quotes.